Purpose of Activating Strategies: To activate students’ prior knowledge through the use of engaging strategies designed to focus learning. 1) link content to what they may already know and 2) build background knowledge by creating new experiences for them. Clive Shepherd’s Universal Design Principles, (No. 2) discusses how to hook the learner. Shepherd suggests hooking them with emotion creates attentive, curious, and excited learners. Whether using humor or drama, something visual or creating a mood with storytelling, emotional engagement is key to getting students attention from the start. The activating strategy is what inspires the learner and is key to instructional design. The hook should motivate the students and link to prior knowledge of the student or created by the teacher. 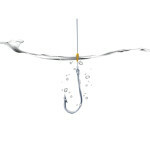 If your hook gets “below the surface” it can be a powerful tool towards Higher Order Thinking Skills. Essential Questions…activate thought and help anchor the lesson with a target for learning. Middle school math students enter the classroom with the same question: “What are we going to do today?” A little perplexed by that question, the teacher answers “math”. The teacher lacks understanding that this question is a natural reflection of students’ inherent curiosity and desire to understand what they were going to be learning. What will I be able to do when I’ve finished this lesson? What idea, topic, or subject is important for me to learn and understand so I can do this? The learning target should be presented in advance of the lesson in the form of an Essential Question. Best practice is to have a consistent central location for the Essential Questions. Be sure to write out Essential Question. Some students just aren’t going to get it when you put the big letters EQ on the wall. Make sure that your questions are big enough for all students to see from any view point in the classroom. Your Essential Question must be easily spotted in every classroom. The intention of the lesson must be clear and must be viewable so students and teachers are not flying blind. It must be in grade level language that is understandable for the learner. And most importantly it should be posed to stimulate thought not simply get an answer. Teacher uses as a tool to distribute summary throughout the lesson. They anchor the lesson with a focus and a place to come back to. The are embedded with key vocabulary. They are built with Higher Order Thinking Question stems to promote enduring understanding. They are used as a reflective formative assessment tool at the end of the lesson to determine what stduents have learned. While Essential Questions are a significant piece of the Activating Strategy additional layers of advance organizers are principal elements in stimulating interest and fostering student success. Activating Strategies should also include Advance Organizers. Advance Organizers…help arrange and systemize the lesson in advance. Advance Organizers are simply organizers used in advance of the lesson. Sometimes these organizers are confused with Advanced (notice the d on the end) Organizers, these are something different used for critical thinking skills. Be sure not to confuse the two. Advance Organizers help students to understand what it is they are suppose to be learning. A syllabus is an exemplary illustration of providing a preliminary outline of learning goals. This can be chunked into smaller pieces throughout the year via units of study. An agenda that is shared prior to a class meeting is another way of organizing information. It helps the lesson stay on track, especially good for teachers that have those students who like to get “out of their lane” and often take the rest of the class with them. Advance Organizers can also be a visual aid such as a graphic organizer rather than an outline form. Graphic Organizers are abundant, but finding one that can be used to systemically organize the lesson information will help students have a visual reminder of what they are learning. Brain Based Research reveals that the theory of primacy indicates that while learning, we tend to remember best that which comes first. Ebbinghaus published the first studies on this phenomenon in the 1880s. This is why front loaded direction is a crucial action. Educators must ensure that students can make thoughtful connections and necessary deliberation between objectives and standards to lead to enduring understanding. Organizers are a means of front-loading information to students through the use of nonverbal (non-linguistic) representations. Students use them to sort and chunk content into manageable pieces of information. Organizers can be used throughout a lesson, but using them in advance is a research based strategy that indicates a 28 percentile achievement gain. Read Alouds…as an activating strategy. Not all activating strategies are advance organizers. But using an advance organizer as an activating strategy helps students interact with the content. Using them together, for example using an activator of a read-aloud with an advance organizer of a Story Star helps students to interact with the lesson and helps them link/build their understanding to propel them into deeper content. A specific example is Dr. Seuss’ “Starbelly Sneetches”. What is often overlooked in Seuss’s books is the historical basis and true meaning behind the story. The Sneetches is a book about creatures with stars on their bellies that live with the some of the same creatures that don’t have the stars. In the book, the star-bellied Sneetches play the role of ‘superior type’ while the Sneetches without stars are left out of everything. The starless Sneetches are treated horribly and not thought of as equal. Seuss meant for this to resemble racism and discrimination. The Sneetches only care about what they look like and not who they are; they only care for the way their skin looks. Now, remember, this book was written shortly after World War 2, shortly after the genocide of millions of Jews based on something they could not control. Not only were Jews discriminated against at that time, but the Japanese, Germans, and Italians were as well. 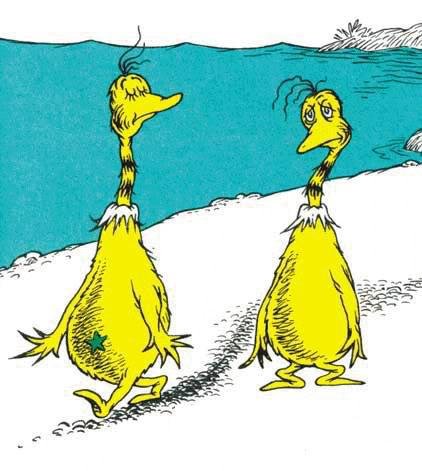 The starless Sneetches were treated almost identically like the Jews, and Seuss wanted to make that clear. He wanted his readers to see exactly what it was people were doing when they discriminated. In the end, after the Sneetches try to change themselves over and over by removing their stars and putting them back on, they realized that it didn’t matter if they had a star or not. They realized that they were all Sneetches, all equal, and that they should be treated like it. Seuss wanted us to realize that we are all humans, and all equal, just like the Sneetches. Using the simplest of organizers, a Venn Diagram, in advance of the story, the teacher can guide students to record information of similarities and differences and have an in depth conversation of the importance of treating everyone fairly. This is a powerful little Activating Strategy before plunging into a unit on the Holocaust or even Equal Rights Movements. It couples the Advance Organizer with a read-aloud as an Activating Strategy to engage students and link as well as build their background knowledge around the content. Letting your students talk…as an activating strategy! People are naturally social beings, so it is only natural that most of your students are as well. Teachers who leverage this do so by using strategies to allow their students to talk, yet the talk has a purpose and is grounded in the focus of a lesson. Carousel Brainstorming is a great strategy for this. Students will rotate around the classroom in small groups, stopping at various stations for a designated amount of time. While at each station, students will activate their prior knowledge of different topics or different aspects of a single topic through conversation with peers. Ideas shared will be posted at each station for all groups to read. Through movement and conversation, prior knowledge will be activated, providing scaffolding for new information to be learned in the proceeding lesson activity. Turn and Talk is another excellent strategy. Think about this…if the teacher asks a question to the class and calls on one student to respond, how many students does she know for certain may or may not fully understand that question? Yet if a teacher poses a question to the class and asks students to turn and talk to their neighbor or shoulder partner, then every student is engaged in the lesson and at least grappling with the question with a peer to help check for understanding. Read and Say is a similar strategy to Turn and Talk yet in this strategy, students respond to a particular text rather than a question posed by the teacher. Think-Share-Pair allows time for students to individually process their thinking in response to the question. Then ask them to discuss with their collaborative partners (pairs) and then share with the group or with another pair. Numbered Heads Together – gather and build background knowledge in small groups, have Collaborative Pairs “square” to form groups of 4. In each group, tell them to number themselves 1, 2, 3, and 4. Meanwhile, you assign the groups letters (A, B, C, etc.). Tell them to pull their group’s chairs close so they can “put their heads together.” Pose the 1st question out loud. Then give them 2-3 minutes to quietly discuss the answer. When you signal time is up, everyone should be silent. Then randomly call a group letter and one number (e.g., A3 or C2 or D1, etc.) Whoever happens to be that number in the particular group – Person 3 in Group A, for example – must answer the question. If the question can be answered in more than one way, then you can call another letter and number to get additional responses. Suggested activating strategies and advance organizers are included below. We have also included resources and our favorite places to go on the Internet for Activating Strategies! Scroll all the way down so you don’t miss anything! An Anticipation Guide includes a list of 8-10 statements related to a topic of study. Prior to introducing new information, engage students by having them write whether or not they AGREE or DISAGREE with the statements listed on the guide in a column to the left of the statements. After the new content has been taught, have students react to the new information by responding again to the statements on the Anticipation/Reaction Guide in a column to the right. Discuss why their before and after answers are different. Extend the activity by having students explain their attitudes and belief before the lesson and how their mindset changed after the lesson. Students create an acrostic by placing the name of a topic or concept vertically down the paper. Students generate a word or phrase that begins with each letter of the vertical word. Students respond to the following related to a particular topic: 3 things that interest me about the topic, 2 things I'd like to know more about the topic, 1 idea they have about the topic. A variation of brainstorming, Five Words asks students, working on their own, to list five words that come to mind when they think of a particular topic. Students then get into pairs, trios, or groups of four to share and discuss their words. Each group selects three of the best words to share and explain to the entire class. To set up the Walking Tour, choose passages, pictures, or statements for a topic. Place one per chart. Number each chart and post the charts around the room. In small groups, each group is given a particular color marker to record their ideas. Students then spend 2-5 minutes at each chart, reading, discussing, interpreting, and reacting to the idea in writing. The groups move from chart to chart until they have visited all of the charts. When the "tour groups" have finished, have the students discuss and summarize the charts with the entire group. Prior to the beginning of class, the teacher will prepare questions related to the topic of study and write them on sticky notes. Four to five questions are usually enough. Sticky notes are placed underneath student desks/chairs so that they are hidden from view. At the start of the class, inform students that several of them are sitting on "Hot Seats" and will be asked to answer questions related to the topic of study for the day. Students who have questions on sticky notes will then take turns reading the question and attempting to provide an answer. A collection of key terms or concepts taken from the content or topic of study. The terms selected represent important ideas and vocabulary. Student make predictions and generate statements about the topic. Finally, the students correct information after formal study of the material. The teacher generates about ten words related to the lesson. Students create 5 possible sentences by using two words or more in each sentence until all words are gone. Description: In this activity, students have the chance to classify topics, words, and phrases into categories. The process of sorting and classifying strengthens the student's ability to comprehend and retain difficult information. Through a discussion of possible solutions, students negotiate the contextual meaning of the topics, words, or phrases they are sorting. Procedure: 1. Generate a list of words related to the topic for review. These words should fall into one of the following categories: Important Characteristics, Uses, Examples, and Non-Examples. (Hint: These categories can be changed to accommodate your topic of study.) 2. Make a copy of both of the word list and the Frayer Model graphic organizer on transparency paper. 3. Cut out the words on the word list and store in a zip-lock bag when not in use. 4. Lay the graphic organizer on an overhead projector. 5. Place word list words in the center of the graphic organizer one at a time (jumble the order) allowing students to identify the appropriate quadrant location for the word. As students enter, give them word choices for using this vocabulary development tool. Students use a graphic organizer to categorize their knowledge about a word. Squares with 4 to 6 blocked spaces work well. A prereading strategy designed to evaluate students’ prior knowledge of a topic by having them rate how well they know the content vocabulary words. The vocabulary words are presented and students rate each word with a number—1 know it well enough to define it, 2 think I know it, 3 have heard it or have seen it, and 4 no clue. Teacher can then identify how much prereading instruction will be necessary for critical reading as well as identifying words for explicit vocabulary instruction. It also allows the teacher to differentiate instruction based on a student’s need. Give out pop quiz, an assessment given without notice (graded or non-graded), as they enter the classroom or display on board. 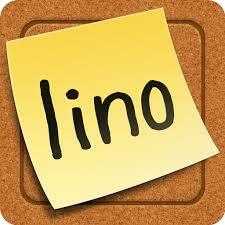 It is sometimes used as a review (non-graded), and is definitely used to motivate students to study each day. Periodic pop quizzes can be used during the formative assessment process to monitor student learning and adjust instruction during a lesson or unit. Constructive quizzes will not only furnish teachers with feedback on their students, but they serve to help students evaluate their own learning. The process is outlined in the document below. By using quizzes to furnish students with immediate feedback, the teacher can quickly determine the status of each student in relation to the learning targets, and students can learn more during the discussions that immediately follow the quizzes, instead of having to wait until the next day to see the results of the assessment in the form of a meaningless grade on the top of a paper. The teacher should use the results of these quizzes to adjust instruction immediately based on student outcomes. Assign to each student upon entering class a section, paragraph, page etc. for reading or looking at material quickly to gain an overview of the content. Skimming and scanning are two very different strategies for speed reading. They are each used for different purposes, and they are not meant to be used all the time. They are at the fast end of the speed reading range, while studying is at the slow end. People who know how to skim and scan are flexible readers. They read according to their purpose and get the information they need quickly without wasting time. They do not read everything which is what increases their reading speed. Their skill lies in knowing what specific information to read and which method to use.Skimming refers to looking only for the general or main ideas, and works best with non-fiction (or factual) material. With skimming, your overall understanding is reduced because you don’t read everything. You read only what is important to your purpose. Skimming takes place while reading and allows you to look for details in addition to the main ideas. Unlike skimming, when scanning, you look only for a specific fact or piece of information without reading everything. You scan when you look for your favorite show listed in the cable guide, for your friend’s phone number in a telephone book, and for the sports scores in the newspaper. For scanning to be successful, you need to understand how your material is structured as well as comprehend what you read so you can locate the specific information you need. Students may also take notes, share with a partner, or discuss with class. Hand out a mini-survey at the beginning of a unit, topic, etc. that asks for opinions and knowledge concerning the subject material. Students love to tell what they already know about a subject. They also like to express their personal opinion. Surveys give them a chance to do just that. It also gives the teacher good indicators about what prior knowledge students may already have. Some teachers like to start by finding out if their students really know what a survey is. They then explain the basics of surveys before doing a trial survey with their students. Others find that their students have better attention for the lesson when the teacher “walks them through” a real survey first. 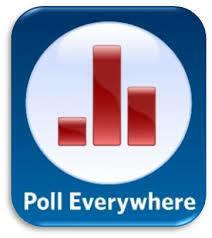 Using online surveys gives real time instant feedback. Purpose: This strategy is used to elicit student’s prior knowledge and allow students to make real world connections in order to motivate them to read and comprehend new texts. 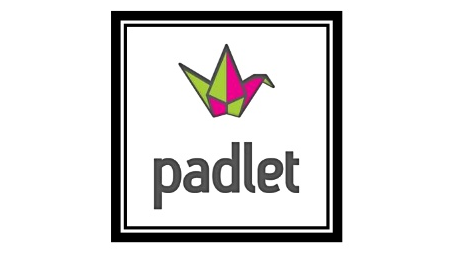 Description: Providing visual images before reading a lesson allows students to create a mental picture which will help facilitate the reading of new material. These mental images will help students process what they will read. This strategy allows students to respond to visual imagery through written exercises and whole group discussion. Students become more engaged in their learning process by making real world connections and by using their own imaginations. Procedure: 1. Select a vivid photograph, picture, artwork, or image that will introduce or extend the concepts related to the particular area of study. Your textbook, reference book, newspapers, magazines, web sites, etc., are excellent resources. 2. Share the picture with students by using a data projector or large poster or a site like Voice Thread. 3. Ask students to write down their individual thoughts and reactions to the image. 4. Model how to make personal and real world connections. Encourage students to examine the image for details. 5. After students have been allowed time for their written responses, ask for volunteers to share their entries with the rest of the class. Encourage students to respond to each other in collaborative pairs. 6. Share the old saying “A picture is worth a thousand words”. Ask students why that may apply to the image you are sharing. Probe further “Why would that apply to this image?” 7. Use students responses to help introduce the new concepts to be studied. Use these sites for online activators before the lesson to hook students. Kagan, S. Cooperative learning. San Juan Capistrano, CA: Kagan Cooperative Learning (1994). Lipton, L., & Wellman, B. Patterns and practices in the learning-focused classroom. Guilford, Vermont: Pathways Publishing (1998). Richardson, Judy S. Read It Aloud: Using Literature in the Secondary Content Classroom. US. : International Reading Association, (2000). Tiedt, Iris McClellan. Teaching with Picture Books in the Middle School. U.S.: International Reading Association, (2000). Wood, K. Literacy strategies across the subject areas. Needham Heights, MA: Allyn & Bacon (2001).